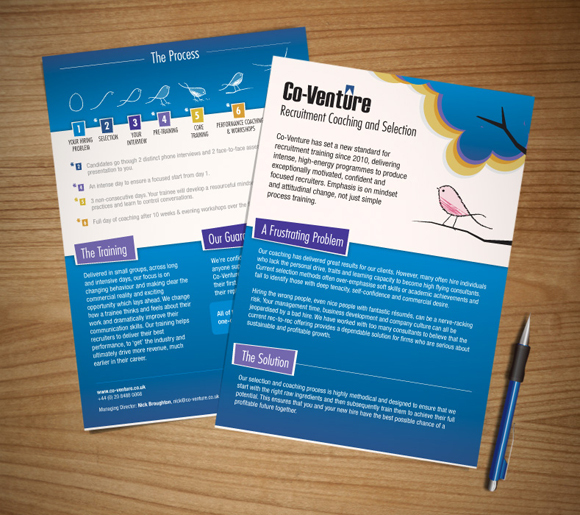 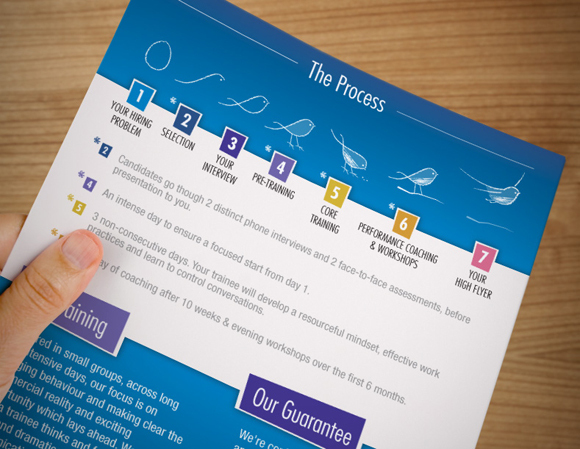 I designed a double sided A4 brochure for a recruitment coaching and selection consultancy. 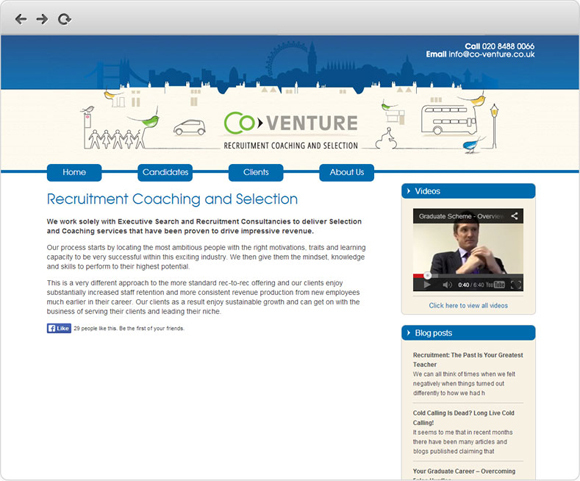 Later on I redesigned their logo and worked on the illustration for their website header. 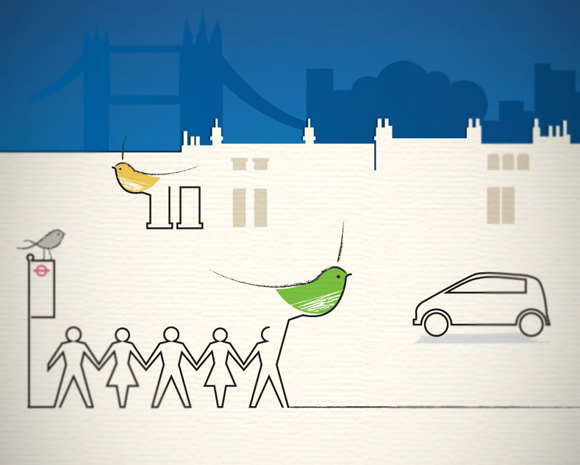 I used the growing bird concept and being taught how to fly and for the header illustration I used the idea of the birds creating the city (London) by drawing and pulling the lines towards different directions.